It’s already on sale here in the UK, but such is the importance of the i10 to Hyundai the firm are giving it plenty of exposure at the Geneva show. It may not take centre stage – the glamour of the Intrado proving way too strong for that – but there’s no doubt the plucky supermini will account for the lion’s share of Hyundai’s sales. A worthy, neatly designed, comfortable, well-equipped and spacios supermini, it’s no surprise the i10 proves so popular. We’re big fans of the car too, and you can read just why in our full review here. 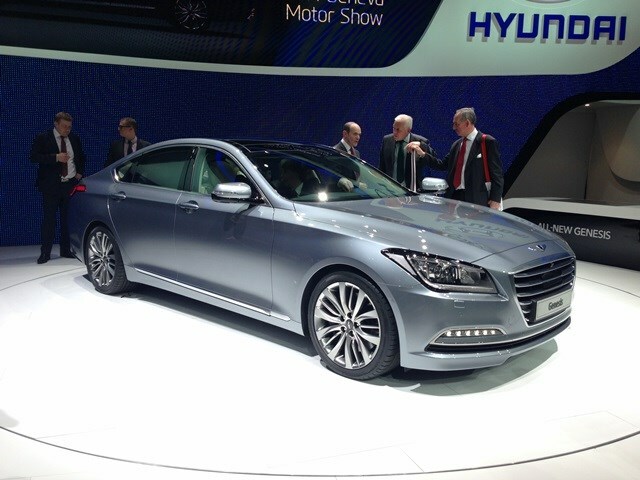 Rather than being a bad Phil Collins collaboration the Hyundai Genesis is actually a striking executive saloon. The nameplate has been on sale in the US for a while now, and also denotes a Coupe in the firm's line up, but this is the first taste for European buyers. Rear-wheel drive and boasting either a 2.0-litre four cylinder or larger v6 petrol engine it promises to be the most advanced production Hyundai yet. The Intrado is an interesting concept car for several reasons. First of all, it’s the first Hyundai to be designed under the direction of the company’s president and chief design officer Peter Schreyer, who has been responsible for something of a design revolution (and corresponding sales success) at sister company Kia. Secondly, its hexagonal grille and diagonal headlamp shapes are our first sight of Hyundai’s new corporate ‘face’, which we can expect to see on the next-generation Hyundai i20 hatchback later in the year and other models in the future. 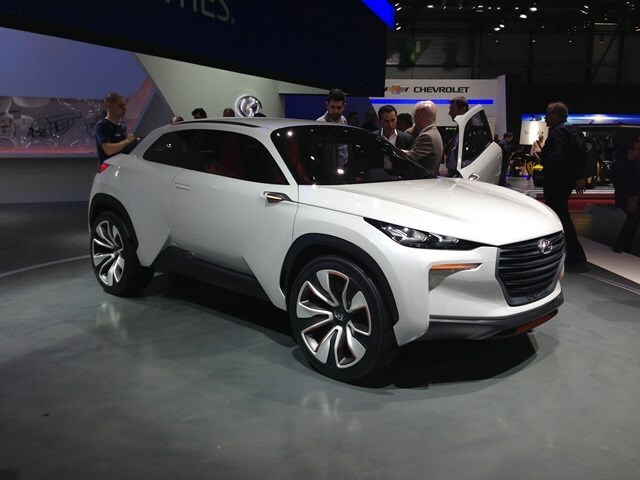 Thirdly, it’s an electric vehicle that takes its energy from hydrogen fuel cells, a technology which Hyundai is already making available for road use in its ix35 Fuel Cell model. And finally, it’s built on an innovative composite frame structure that Hyundai claims could ‘revolutionise’ the way cars are built in the future. To find out more about the Intrado, read our full report here.